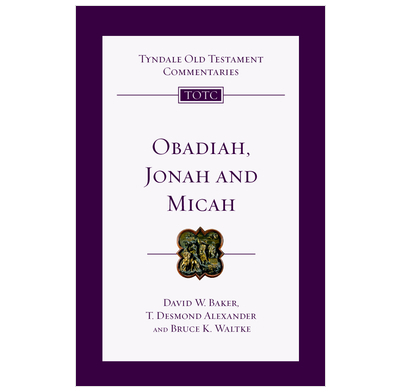 Learn what relevance God's message to the Israelites through Obadiah, Jonah and Micah has for us today. The books of Obadiah, Jonah and Micah cover an important but turbulent epoch in the history of Israelin which prophets warned of coming judgment if Israel refused to turn back to God from her apostasy and to practice effective social justice. This culminated in the fall of Jerusalem in 587 BC and in the exile in Babylon. Interest in the meaning and the message of the Old Testament continues undiminished and it is hoped that this series will thus further the systematic study of the revelation of God and his will and ways as seen in these records.